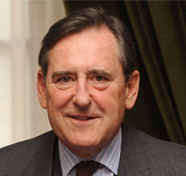 Chairman of Santander Universidades, Matías Rodríguez Inciarte was born in Oviedo on 23rd March 1948. President of the Princess of Asturias Foundation from April 2008 to April 2018. He holds a degree in Economics from Madrid's Complutense University, earning a national prize for being the most outstanding graduate. He completed his business studies at Boston's Massachusetts Institute of Technology (MIT). Through a public completion in 1972 he joined the State's Corps of Economists and Business Engineers, moving on to posts related to international commerce in business negotiations under the General Agreement on Tariffs and Trade (GATT) and later, as a trade adviser for the Spanish Embassy in Chile. He was named technical secretariat general of the Ministry of the Treasury in July 1977 and in February 1978 secretariat general of the Ministry of Relations with European Communities, where he had an active role, alongside Minister Leopoldo Calvo Sotelo, in the negotiations for Spain's admission to the European Communities. In 1980 he assumed the Secretaryship General of the Government's Economic Vice-presidency and in 1981 he was appointed Secretary of State attached to the President. In 1981 he was named Minister of the Presidency. In February 1984 he began his stint at Banco Santander, a firm where he was a member of its board (1988-2017), vice-president since (1994-2017) and a member of the Group's Executive Committee until November 2017. He is currently chairman of Santander Universidades and a member of the board of other companies. He has been vice-president of the Entrepreneurs Circle (Círculo de Empresarios) and recently, he has been named president of Madrid's Charles III University's Social Council. In 1995 he joined the Princess of Asturias Foundation's Board of Trustees.